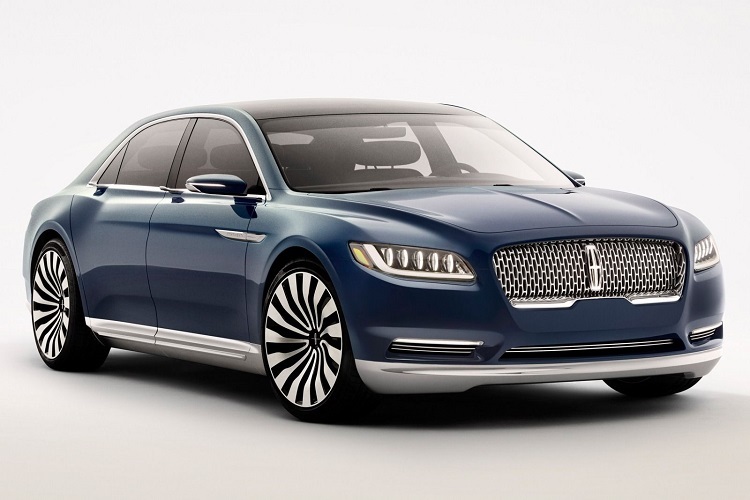 This legendary luxury car is finally coming back, as 2017 Lincoln Continental. Those are probably the best news that we hear in past few years from Ford’s luxury division. This is probably Lincoln’s best-known nameplate, and it was such a shame not to be used. Original model came very long time ago, in 1939. With some brakes, this flagship model was in production until 2002. Finally, after 15 years, this model is revived. New model comes as tenth generation, and it comes completely new, based on concept that was presented last year at the New York Auto Show. 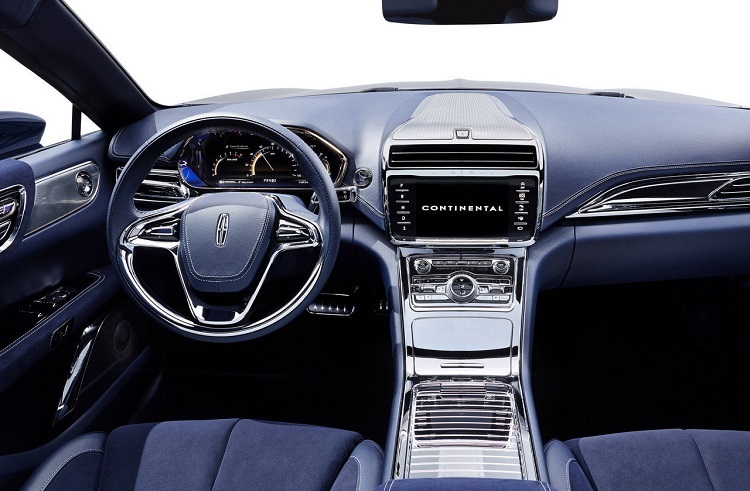 The 2017 Lincoln Continental comes completely new, as tenth generation of this flagship model from Ford’s luxury division. New model will be based on concept that was presented last year. In terms of exterior design, these two cars are very close. Production model comes in same styling, and differences are minor, especially at the front. Only difference between concept and production model is that serial model gets slightly revisited bumper, which feature different configuration of air vents and for lights. When it is about rear end, 2017 Lincoln Continental comes with a many more differences. There are new, much larger taillights and also a different trunk, which now opens it more traditional way, all away down from bumper. Interior design is absolutely fantastic. Cabin is beautifully designed and made of hi-quality details. There is plenty of space, especially at the rear compartment, where beside comfortable seats and plenty of legroom, 2017 Continental also features audio and climate control, sunshades etc. New model also features an Active Noise Control function and the laminated glass that significantly reduces noise and vibrations, which is definitely important factor in terms of comfort. This aspect might be a disappointment for many Continental lovers, because new model doesn’t come with eight cylinders. However, this was pretty much expected, because latest Navigator also comes without these big engine. Simply, company now follows new philosophy, which takes smaller and more efficient engines, instead of large and thirsty V8s. 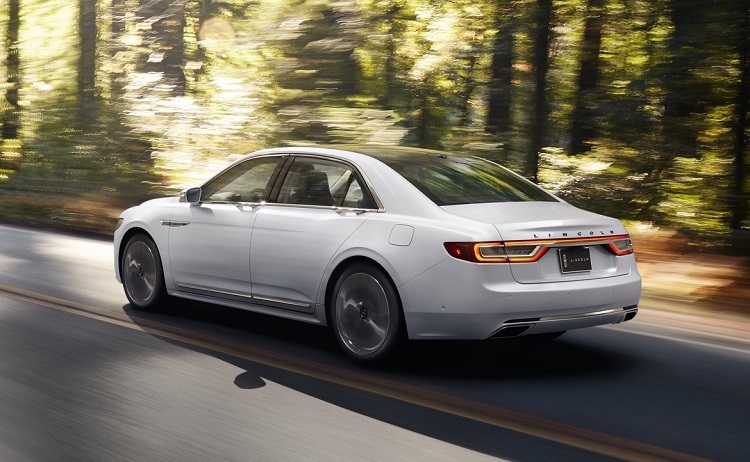 The 2017 Lincoln Continental will be powered with 3.0 liter V6 engine, which is specially designed for this model. Equipped with two turbos, this engine outputs around 400 horsepower and 400 pound-feet of torque. New model also comes exclusively in AWD configuration. Production model will probably come this summer. Exact price is still unknown, but some predictions are that base 2017 Lincoln Continental will go around 75.000 dollars.